Three walkers were rescued from a Brecon Beacons hillside after getting lost overnight. Rescuers said the trio had no means of navigating in poor visibility. Western Beacons Mountain Search and Rescue Team was called out shortly before 6am today by police. The three men, in their early 20s, got lost on Black Mountain above Brynamman in the mist. 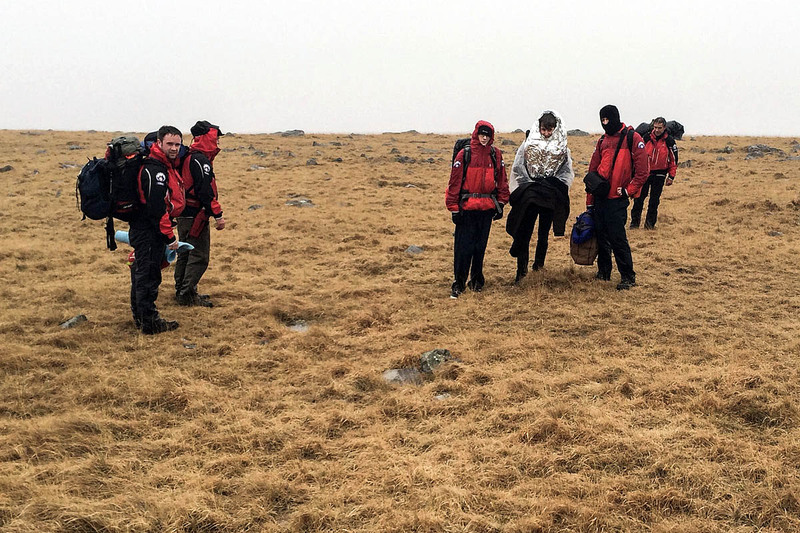 The rescue team used the Sarloc smartphone system to pinpoint the men’s location and Western Beacons MSRT members set off in the pre-dawn mist to find the walkers. They were found cold, but otherwise uninjured, in a tent they had managed to erect. They were then walked off the hill before being driven in team vehicle to Ystalyfera in the Swansea Valley, where a parent of one of the young men was waiting for them. Team spokesman Trevor James said: “Despite it being spring, the weather remains cold and the forecast for this weekend is not great. “We’d urge anyone heading out this weekend to carry the right equipment – and know how to use it – to ensure they enjoy their day out and that team members have a quiet Easter weekend. Its getting repetitive reading these reports.